When you're suffering from shooting pains and other disabling symptoms in your leg, it may be hard to wrap your head around the idea that your leg may not be injured or ailing at all. In fact, your symptoms may originate from close to your spine -- specifically, the nerve roots that relay signals to and from the sciatic nerve. When this nerve tissue is unable to function properly, you can experience the telltale symptoms of a syndrome known as sciatica. Fortunately our Chiropractor, Dr. Jeranek, of Jeranek Family Chiropractic in Kenosha can help restore normal nerve function so you can get back to enjoying all of your favorite activities. Sciatica is more a description of a problem than an actual medical condition in its own right. Our Chiropractor sees this condition frequently in our Kenosha office.It applies to any situation in which the sciatic nerve becomes irritated. This irritation usually come in the form of nerve impingement -- some structure putting pressure on the nerve tissue and cutting off the flow of sensory and/or motor control data. This is a big problem, not least because the sciatic nerve is a big nerve. 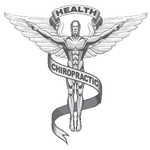 Chiropractors, like Doctor Jeranek, know it is the longest and thickest one in the body, extending from the base of the spinal column deep into the leg. The sciatic nerve is the main communications conduit for all the signals that go to the lesser nerves of the leg. But the nerve doesn't attach to the spinal cord directly; instead, it is connected by lumbar nerve roots. While sciatica may occur if the sciatic nerve itself is compressed or damaged, it is frequently the result of one or more pinched nerve roots. As scary as sciatica can be, the vast majority of cases are also highly treatable by chiropractors. Our Kenosha chiropractor, Dr. Janet Jeranek, will start by studying your symptoms, stance, gait, spinal alignment, and X-rays of the spine itself. Your symptoms may be due to a "lookalike" condition such as piriformis syndrome (which may be pinching the sciatic nerve itself) or sacroiliac joint dysfunction (which can sometimes pinch the fifth lumbar nerve root). Whatever the cause of your sciatica symptoms, we will discover it and administer the proper remedies for it. Chiropractic adjustment - Chiropractic adjustment can bring misaligned spinal components back into balance with each other, releasing trapped nerve tissue in the process. Spinal traction - Carefully-administered degrees of traction can increase the spaces between vertebrae, allowing displaced discs to find their way back "home." Corrective exercises - If weak back muscles have contributed to your sciatica problems, a course of corrective exercises can help you maintain the straight posture your body needs. Nutritional counseling - If obesity is aggravating your sciatica, our nutritional counseling can help you achieve a more spine-friendly weight. Orthotics - An unbalanced body (and the sciatica it often causes) may begin with unbalanced or ill-supported feet. We can fit you with custom orthotics to help normalize your spinal alignment and sciatic nerve function. You don't have to let sciatica set limits on your ability to live the kind of life you want -- not when you have the aid of Jeranek Family Chiropractic. Call our Kenosha Chiropractor, Doctor Jeranek, at (262) 694-7833 today to set up a consultation and examination. We want to help you set yourself free from sciatica!